Brian Nettlefold was Executive Director of Library Services at Nipissing University and head of the Education Centre Library. Fonds documents Brian Nettlefold's work as the Executive Director of Library Services at Nipissing University, particularly his involvement with Nipissing University's Academic Senate and executive academic staff unit, as well as the Learning Library Campaign and the planning of the Harris Learning Library. Fonds contains three series: Academic Senate; executive administration; Harris Learning Library planning. 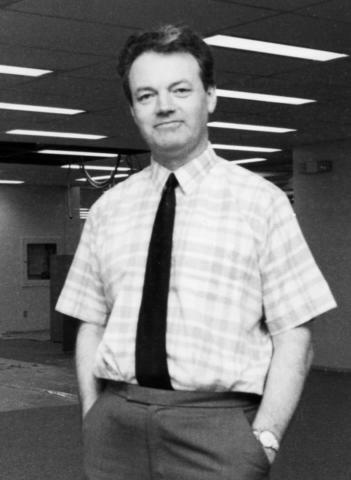 The photograph linked to this description is a detail of a portrait of Brian Nettlefold standing in the expanded Education Centre Library, [198-]. The photograph is from File 0034-03.